This entry was posted by Mythbuster on April 28, 2011 at 12:29 pm, and is filed under Chronicology 101. Follow any responses to this post through RSS 2.0.You can leave a response or trackback from your own site. can solar outdoor lights be used on Mother and Child Clones to keep them in veg state ? i was thinking of using my old phototron and outfitting it with garden solar and spot light solar powered lights … then when the desired size, place child clones out doors into reg sun light cycles. You can raise clones indoors then plant them outdoors. You can. However, this will be stressful for your plants. Too much stress can cause your plants to turn into hermaphrodites, which inherently are full of seeds and of lower quality than a female of the same strain. The best thing to do is to make clones from every plant before switching over to flowering. Mark which clones came from which plants. When you know which plants are females, throw out the males and the male clones. Grow the female clones to maturity, make clones again form each, or keep one as a mother to only take clones from. Long story short, while you can switch back to veg after doing some flowering, it is not recommended. You can, but we don’t recommend it. Make a clone of each plant, mark the clones, when you know which plants are males throw out the male clones. Continue the process of taking clones before you switch to flowering or keep one plant as a mother in a 18/6 light environment and have a separate area for flowering. water your plants once every 4 to 6 days and only eiostmn the soil. you can transplant about 2 weeks after first sprouting. dont use plant foods till about 3 weeks into growing. use rose or tomato plant food for the first 3 weeks to 2 months and only feed every 3rd time you water DO NOT OVER FEED you can burn and kill your plants. This is true on growing most plants from seeds. I am trying to break into the lighting business for grows. I remain confused on the difference in brand name HID lights as well as the wide range of pricing. 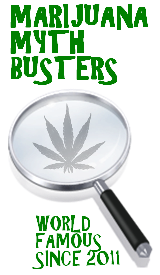 I have heard from a long time lighting distributor that all HPS as well as MH lights are manufactured under the same specs, although, many brands claim to be ‘scientifically engineered’ to grow pot. Since there are very few actual manufacturers of these bulbs, almost of of which are produced in China, is this claim true or false? Well you present some interesting questions. I will start off by saying that we recommend from first hand experience that you use Hortliux bulbs. They are manufactured in the United States, and yes are more expensive than some alternatives. They all come with a one year warranty, which in our opinion is reason enough to buy them. They will last longer than a “knock off” or Chinese made bulb 10 times out of 10, again this is from first hand experience. In terms of the different specifications, there are lights that are made to be used in different ballasts 1000w, 600w, and 400w which are the most common and there are also 460w, 430w and several other less common varieties. As a distributor it will be important to accommodate your customers. You will definitely want to carry metal halide and high pressure sodium considering that each is beneficial for a specific stage of the growth process. You will also want to carry the higher end (i.e. Hortilux bulbs) as well as a less expensive alternative, and maybe one in between. 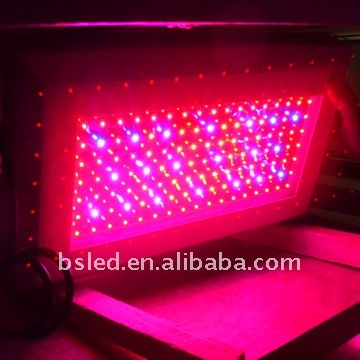 You will want to carry LED and flourescent which at least in today’s market are sold as back-up, support lights to shine up underneath the plant giving light to branches that don’t get light from above, or in some cases for smaller grows. Just to reiterate our point, if you want to know what the best bulb manufacturer is, the answer is Hortilux, hands down. Their website is http://www.eyehortilux.com. If you we’re just asking if all bulbs were made in China, Hortilux is also a great example of the fact that this statement is not true. We hope this was of some assistance to you, and if you have more questions feel free to ask. You have inspired us to write a more extensive post on this subject, so check back soon for more details.